Our divine mission is to help people find true love, peace and happiness in their lives using very simple and easy techniques of Meditation, Healing & Self-Hypnosis. It will help people achieve spiritual balance in their day to day modern living so that they can enjoy every moment of their life without pain, misery, guilt or fear. These methods are modified to suit the needs of the corporate world increasing the efficiency and productivity of the employees to the maximum. The results can be seen and felt within two weeks. Our mission further helps each one to attain their goals and fulfill their wishes without any struggle or pain. There is no need for suffering and pain when you can completely avoid it. The methods & techniques that we teach are very easy to learn and follow. 15 to 30 minutes a day is enough for an individual to practice these techniques. Within 7 to 10 days people can see the difference it creates in their lives. Balanced growth of children is also an important part of our mission. Children need lot of love and discipline for their proper growth and learning Spiritual balance is needed in the lives of children starting from the very early years bringing more clarity, happiness, joy, confidence & love in their lives. Finding lessons of life by understanding the meaning of numbers in your life. Using Transformational Tarot Cards for guidance and spiritual growth. Different techniques and methods useful for all age groups . We conduct regular classes and workshops for children, corporate and various other groups. 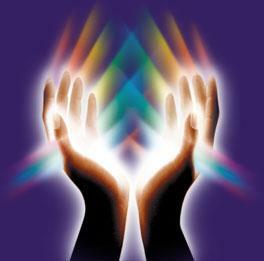 Various techniques of healing like Reiki, Pranic, Violet Flame, Angel Therapy, Colour Therapy etc. Different forms of yoga and exercises to make a bridge between nature and yourself. It is a silent path that enriches you within. Yoga and Meditation often go hand in hand. Our site covers all Yoga Styles, Exercises, Poses, and Breathing Techniques - for beginners, amateurs, or professionals. Tai Chi's flowing movements and energy meditation have the therapeutic effect of slowing down the pace and refreshing the body with peaceful relaxation and renewed energy. Different techniques of Meditation. Why Meditate? Benefits of meditation proven scientifically. It utilizes "Prana" to balance & harmonize the body energy processes. Crystals are used to amplify, focus, store, absorb and transfer positive energies. Invoking the blessings & healing from various Archangels & Angels. You can get what you want, using the power of prayers & Subconscious mind. It offers a cure for disorders by the release through the subconscious mind. Treatment of problems by finding the root cause from past lives. Stop smoking cigarettes, drinking alcohol & overcome drug dependency. Treatment of a wide range of physical ailments. Get better memory, concentration and confidence. Complete Shop of Spirituality, Healing and Meditation.